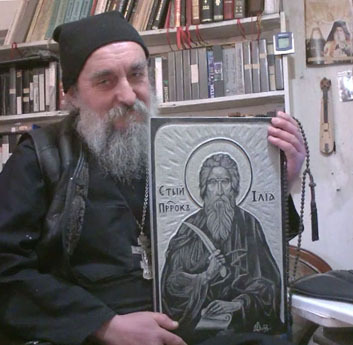 According to the official website of the GOC (K) and the website of the Metropolis of Piraeus and Salamais (GOC-K), Metropolitan Agafangel of Odessa, First Hiearch of the ROCOR (A), concelebrated the Liturgy with Abp. Kallinikos of Athens, Primate of the GOC (K), this Sunday. 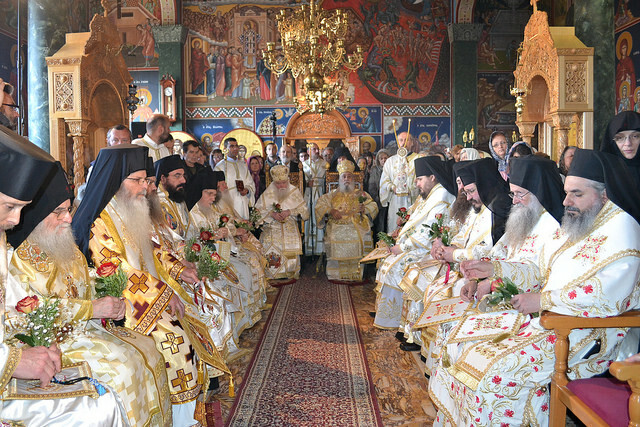 The concelebration took placed in the historic Monastery of St. Nicholas Paianias. Included in the concelebration were sixteen metropolitans and bishops. With the rehabilitation of the memory of Met. Cyprian (Katsumbas), as shown by Abp. Kallinkos serving memorial services for him, and the reaching of an agreement for the absorption of the former SiR, the other sister synods of the former SiR (ROCOR-A, Romanian Old Calendar Church under Met. Vlaise, the Bulgarian Church under Bp. Photii), have entered into, or are in talks to enter into, full and complete communion with the GOC (K). It does not seem that the ROCOR-A (or the other former Sister Churches of the defunct SiR) was in any way ‘formally received’ from schism or heresy. But were accepted as Sister Churches, thus exonerating them from charges of schism and heresy from the perspective of the Synod of Archbishop Kallinikos. For some time the SiR was accused of heresy and schism because of the teachings and actions of the late Met. Cyprian (Katsumbas). The same charges were carried against the ROCOR-A, and others. But the union with the ROCOR-A seems to have taken places on the basis of two equal Synods, as opposed to one receiving the other.